Another rut is upon us. 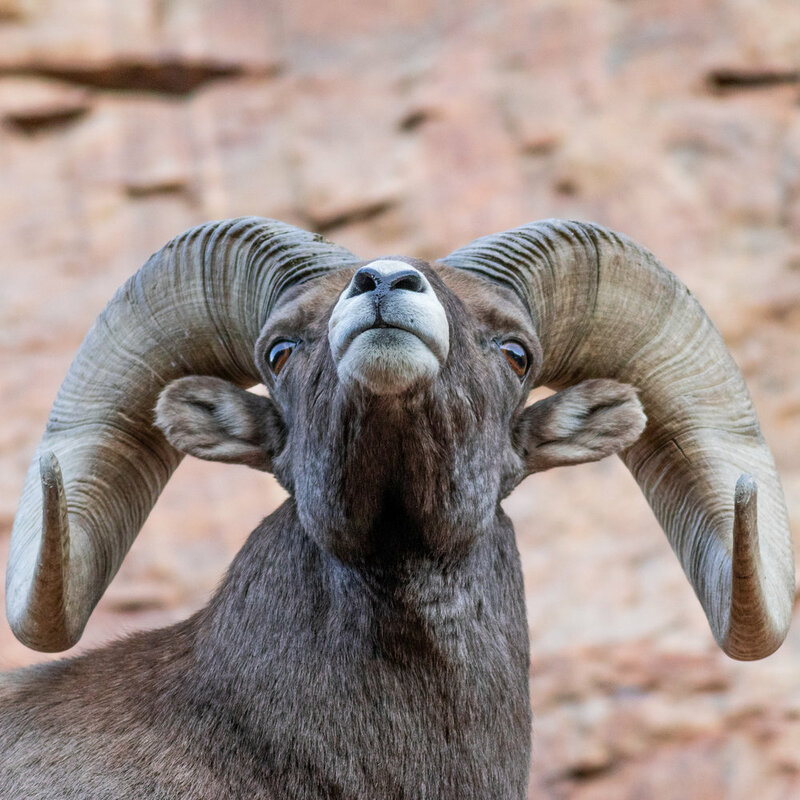 This time, its for the Bighorn Sheep. 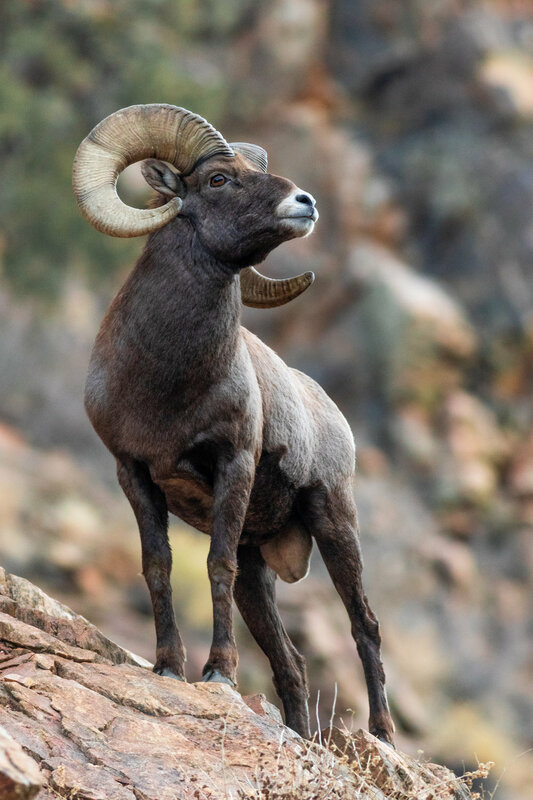 The best place to find sheep is at Waterton Canyon. The main trail leads back to Strontia Springs Dam; a distance of 7 miles. 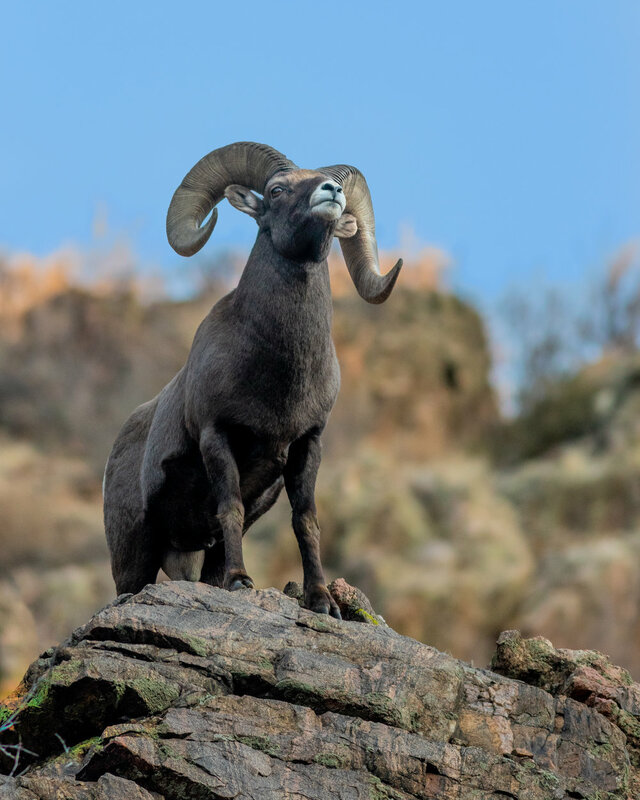 The sheep tend to occupy the steeper cliffs within the first couple of miles, which is where I found this lonesome guy, but you can also find them all the way back at the dam. He would walk the road and climb the cliffs looking for females or other males. If he approaches another male they will bash heads to show their dominance. The time I spent watching him he found neither.